Social Media Advertising, sometimes referred to as social pay-per-click (PPC) uses channels such as Facebook, LinkedIn (including Sponsored Content), Twitter, Instagram, YouTube or Snapchat to target passive or active candidate, client or recruiter audiences. 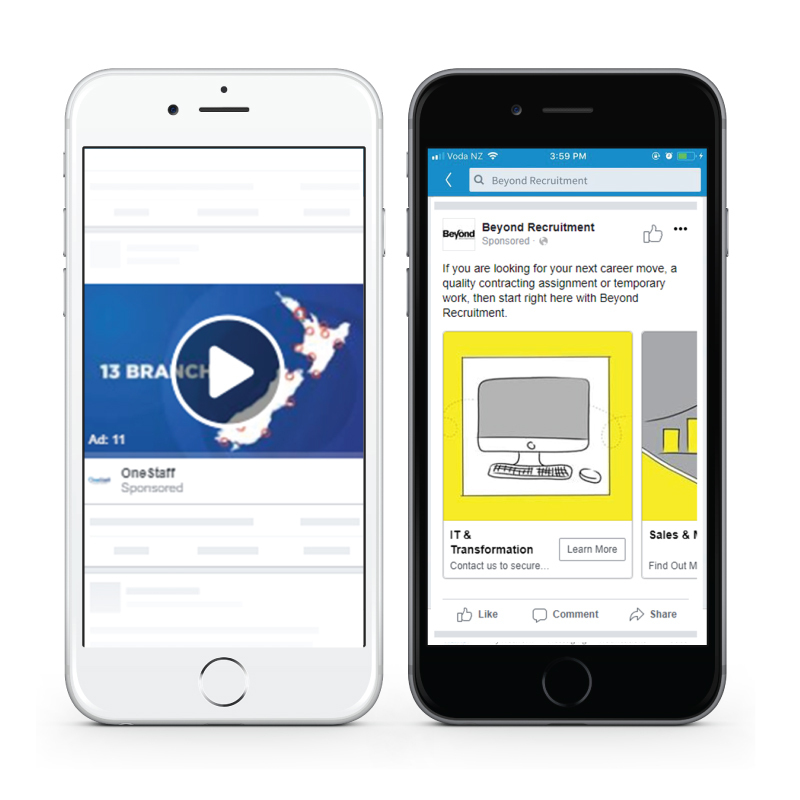 This is done by creating static or moving (GIF/HTML5) adverts that are displayed to the target recruitment audience using the social platforms targeting parameters. Depending on the social channel, this will include location and can then be as specific as job title or be broader based on interests or behaviours. Adverts can be posted as Sponsored Content, appearing in the user’s home feed, banner adverts, video pre-rolls or InMail campaigns.